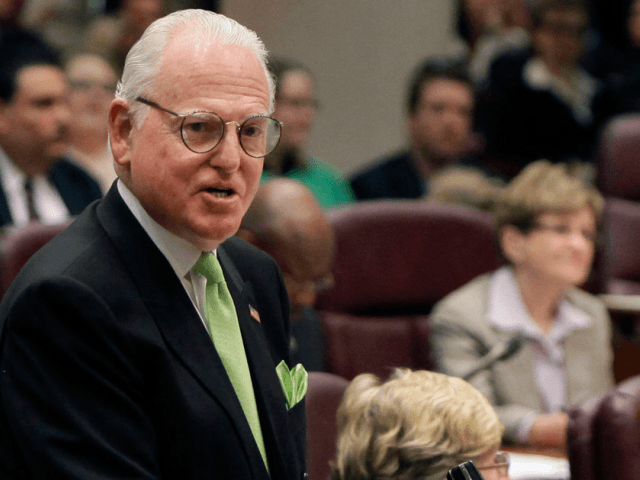 Burke, 75, was charged with one count of attempted extortion for a 2017 incident where he allegedly tried to cozy up to Burger King executives in the hopes they would give his private law firm business, the Chicago Sun-Times reported. Burke hoped the executives would ask his law firm to clear legal hurdles related to a remodeling project at one of the fast-food chain’s locations within Burke’s ward, according to federal prosecutors. The charges come five weeks after the FBI conducted a November raid on the Chicago Democrat’s City Hall office. The 37-page criminal complaint revealed that a judge allowed authorities to wiretap Burke’s cell phone to monitor his phone calls. Investigators also obtained evidence from emails and various other documents, according to the complaint, which officials unsealed Thursday after filing them on Wednesday. According to the complaint, Burke illegally solicited campaign funds from a fast food restaurant executive to support another politician not identified in the charges. Sources told the Chicago Tribune that Chicago mayoral candidate and Cook County Board President Toni Preckwinkle was the intended recipient of the funding. Chicago Mayor Rahm Emanuel wasted no time in calling for Burke’s ouster after hearing of the federal charges. “Based on what we’ve seen in the complaint, the mayor believes it is unacceptable for him to continue as chairman of the Finance Committee,” a top aide to Emanuel told the Chicago Sun-Times. Burke, whose wife is Illinois Supreme Court Justice Anne Burke, surrendered to authorities at a federal courthouse in Chicago on Thursday afternoon.